Have you ever thought about using black to decorate a room in your home? Using black is daring, but if you can pull it off you can get fantastic results. Black creates elegant, refined and restrained settings, is easy to combine with other colours, and can suit all styles and tastes. Using black is risky because it absorbs light and can make spaces look smaller. This means it is vitally important to find a balance in the decoration scheme, transmitting elegance without affecting the perception of space. Black has become a home décor trend: walls, sofas, decorative elements… black always finds a spot where it can stand out. It is increasingly popular because it is a neutral colour with a lot of possibilities and enhances a flexible decorating style. In combination with all other colours and styles, imagination and inspired decoration come into play. 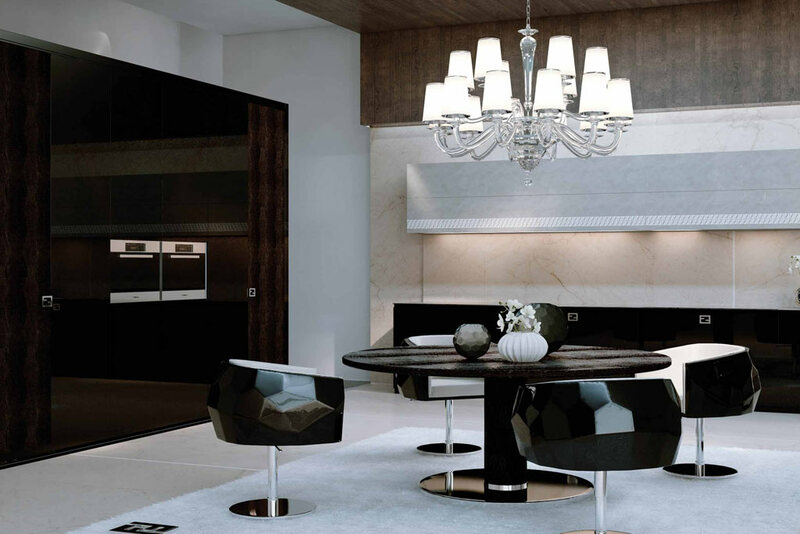 In this living room, black dominates, but harmoniously combined with warm neutrals which balance the effect. Black and white is the best-known combination thanks to its effectiveness and relative lightness, but the addition of a warm tone such as beige gives spectacular results. The amount of light in a space must be taken into account when using black. In this example, there is plenty of light from the two large windows in the dining area, which is open plan, making the space seem larger. Finally, using black on walls and floors is especially appropriate in large spaces as it can draw attention to certain areas and give them greater depth, but it should always be used in moderation, as you can see in the picture. Black in décor is controversial, but full of possibilities. If you have already tried using it in your own decorating, we would love to hear about it. And if you are thinking of using black in your own home soon, please contact us and we will be happy to advise you.